Your total escape begins the moment you step inside your new home. Be immersed in an elevated and timeless estate that embodies the comfort, sophistication, and handcrafted details a dream home is made of. 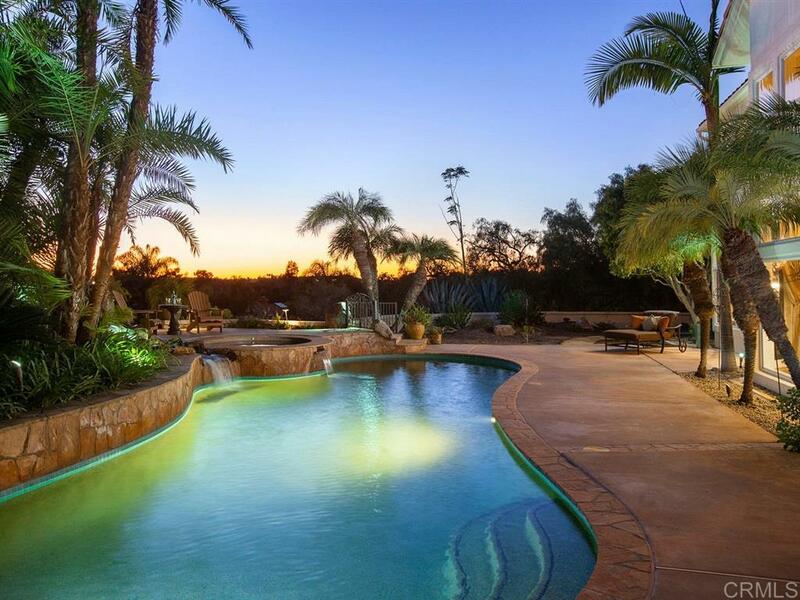 Located in the exclusive Country Rose community of Olivenhain, this spacious and private oasis is just a short distance from downtown Encinitas and Rancho Santa Fe. Open the custom wood doors to reveal the immense amount of natural light streaming in on the spacious foyer. SEE SUPPLEMENT!, Floor-to-ceiling windows welcome guests with the views of an outdoor waterfall and pool. The kitchen is a chef's dream with dark wood cabinetry that is built-to-last and splashes of colorful tile that add to the warmth of the California home. â¢Great floor plan â 4 bedroom, 4 Â½ bath â¢Private wing, perfect for hosting guests or creating a kids retreat â¢Large home office â¢Three separate balconies with amazing views to wake up to. Take a walk around your personal oasis: The large windows of each room and three balconies give a picturesque view of the sunset filing the sky. Your own personal retreat, the backyard is an oasis made for both night and day. â¢Saltwater pool & jacuzzi with waterfall â¢Walking trails make for endless entertainment â¢Easy drought tolerant landscape & abundant grove of agave, citrus and avocado â¢4-car garage â¢1/2 basketball court for endless outdoor play â¢Enclosed fencing for those four-legged family members to roam.